Today HarperCollins has officially announced the forthcoming release of The Fall of Gondolin, on August 30 2018. While hints and thoughts on this have been circulating since late March, it is now confirmed to not be an elaborate April Fools joke. HarperCollins is proud to announce the publication in August 2018 of THE FALL OF GONDOLIN by J.R.R. Tolkien, edited by Christopher Tolkien and illustrated by Alan Lee. The book will be published in the USA by Houghton Mifflin Harcourt and in other languages by numerous Tolkien publishers worldwide. 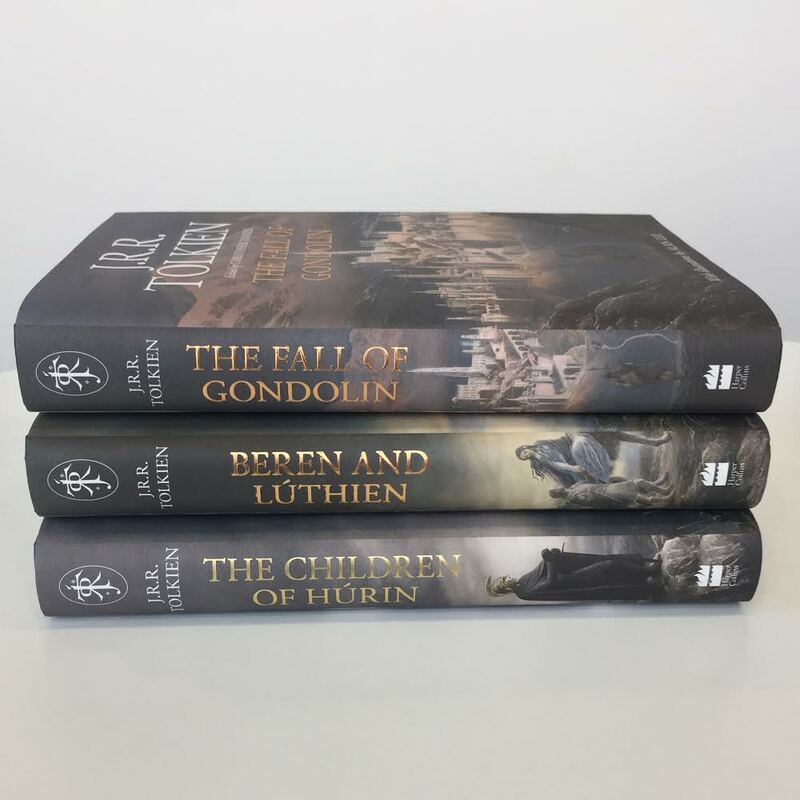 Completing this connected ‘trilogy’ of Middle-earth tales – begun with the Sunday Times and international bestselling The Children of Húrin in 2007, with Beren and Lúthien following in 2017 – this new volume will similarly include drawings and colour plates by Alan Lee, who also illustrated The Lord of the Rings and The Hobbit and went on to win an Academy Award for his work on The Lord of the Rings film trilogy. The Guardian interviewed John Garth for the release, with some interesting additional background for the story and how it developed. 'The three Great Tales must be Númenórean, and derived from matter preserved in Gondor. They were part of the _Atanatárion_ (or the Legendarium of the Fathers of Men). ?Sindarin _Nern in Edenedair_ (or _In Adanath_). And the 'Tale of Eärendel', which was meant to follow closely from Gondolin, but was clearly envisioned as a distinct entity -- or even collection of stories in its own right (one outline presents it as a tale in seven parts). His poetic projects of the 1920s also approached these as distinct entities. 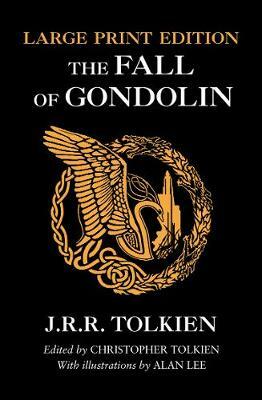 Leithian and the 'Golden Dragon' are each substantial projects, but Tolkien began work both on 'The Lay of the Fall of Gondolin' and an apparently quite distinct work that seems to be a 'Lay of Eärendel'. Later on, things are less clear, partly because Tolkien never really worked on an Earendil story to any meaningful extent. In his famous 1951 letter to Milton Waldman (#131), he does distinguish the 'Fall of Gondolin' from 'the tale, or tales, of _Earendil the Wanderer_'. And there is no hint that 'Of Tuor and his coming to Gondolin' was intended to encompass the Earendil story as well. The late note from Morgoth's Ring seems to represent quite a new way of looking at the relationships between these tales, only developed later in the 50s or 60s. It's systematizing in more way than one, really. Both the Lost Tales and the letter to Milton Waldman just present these as major stories from within a larger cycle -- particularly fully treated, perhaps, but not a distinct, named sub-cycle. The late note, however, does single these tales out and even give the sub-portion of the Legendarium Elvish names. It further links the Children of Húrin particularly closely to the the Gondolin-Earendil saga, so that it's almost just a binary set of two broad tale groups. So while I think including Earendil as just a later part of Gondolin is appropriate -- and certainly practical, given that Earendil could hardly fill a book -- I think it's worth bearing in mind that this was really quite a late (and potentially transient) link on Tolkien's part, even if the close narrative connections are both obvious and old. You may find the ‘compendious history’ or Silmarillion tolerable – though it is only really half-revised. The long tales out of which it is drawn (by ‘Pengolod’) are either incomplete or not up to date. Tolkien, J.R.R.. The Letters of J.R.R. Tolkien (Kindle Locations 2763-2767). Houghton Mifflin Harcourt. Kindle Edition. Among the Lost Tales three were of much greater length and fullness, and all three are concerned with Men as well as Elves: they are The Tale of Tinúviel (which appears in brief form in The Lord of the Rings as the story of Beren and Lúthien that Aragorn told to the hobbits on Weathertop; this my father wrote in 1917), Turambar and the Foalókë (Túrin Turambar and the Dragon, certainly in existence by 1919, if not before), and The Fall of Gondolin (1916–17). Tolkien, J.R.R. The Children of Húrin (p. 9). Houghton Mifflin Harcourt. Kindle Edition. HarperCollins was kind enough to send me this picture - getting closer to publication date, just about one month left to go. They do look nice together. Does anyone remember what impression of CoH changed the HC logo to white? Thanks Jeremy. They look wonderful together. I had preordered the HC deluxe edition from Amazon.com but it got canceled last week (the reason cited was “lack of availability”), so I’ve preordered from Amazon.co.uk now. Does anyone remember what impression of CoH changed the HC logo to white? I don't, sorry. I might ask next time I have a chance, but likely no-one there will remember either. Yeah, I've seen this happen with every HC deluxe edition - Amazon lists it from the publisher files, but then cannot get any copies because of territory rights (Houghton Mifflin having the US market). Sometimes I have gotten a very good price ordering from Amazon.ca (Canada) but there is no guarantee that the "export" edition HC sends there is identical to the one published in the UK. Checking just now, the Canadian site has it for approx $72, and the UK site for $64, plus shipping on each, so better to go with the UK. Not always the case (and one of my bag of tricks when looking for good deals on UK titles in the US). That makes sense, Jeremy. I hadn’t thought about the HC vs HMH rights in the US being the cause. I can’t wait, as usual, to see the design of the foil motif (by good old Alan Lee I assume). I also saw from my Facebook that Waterstones has released the picture of one of Alan Lee’s illustrations from the book (ULMO APPEARS BEFORE TUOR), along with a competition to win a signed print. *Gasp* That is rather breathtaking! Thanks Karl. The swan helm looks amazing - and I hope it is not my imagination telling me the negative space forms a face, representing Tuor perhaps. I also see the Tower of Turgon, and signs of battle at its feet; both encircled by devouring dragons. It’s very well done I think.